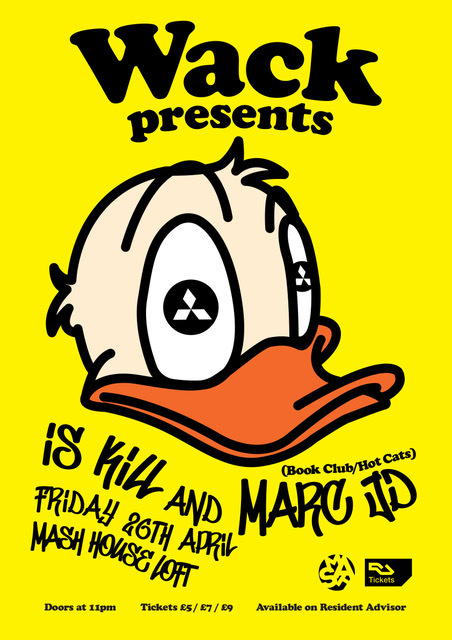 Wack are delighted to bring the Dundee DJing heavyweights Is Kill & Marc JD (Book Club/Hot Cats) to the Mash House Loft! Is Kill and Mark JD run a monthly club-night in Dundee at the prestigious Reading Rooms called Book Club which has run for the better part of a decade. their ever consistent mixing and track selection has made them a standout in Scotland’s club-night scene, proving time and time again that they know how to hold down a dance floor.